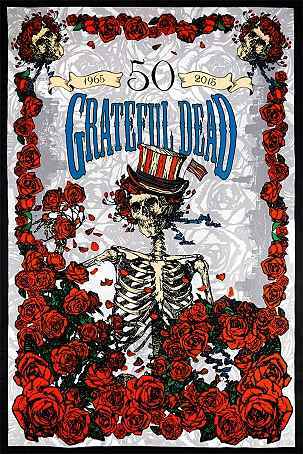 Celebrate 50 years of The Grateful Dead this year when the Core Four come to Chicago! This is a limited edition Bertha 50th Anniversary tapestry wall hanging. 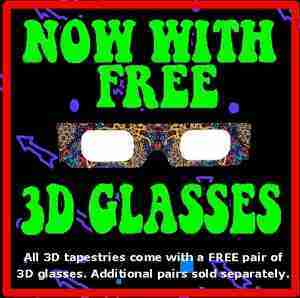 Oh and yes, it is a 3D tapestry, which includes 3D glasses (extras, sold separately), so hang on tight! This 100% cotton tapestry has corner loops for easy hanging and is officially licensed Grateful Dead merchandise. It measures approximately 60" x 90".